Print Page - Caylus Premium Ed - How high can you fly? Title: Caylus Premium Ed - How high can you fly? For those of you drooling over getting a copy of the forthcoming Caylus Premium Edition from Ystari that costs EU65 just for the game alone, here's your chance to get a free set, courtesy of Ystari and Boardgamenews. Caylus has been the darling of the Eurogame community since its debut, so much so that Ystari Games is releasing a Caylus Premium Limited Edition at Spiel 07 that comes with metal coins, a special figure of King Philip, and a completely redesigned look by superstar Mike Doyle. You take the first turn. The jeweller tile is not included. You have embedded a homunculus in your opponent and can make that player do exactly what you want. To give everyone an idea of what a winning score might be, I turned to the sourceof all things Caylus. â€œI had thought about the idea a while ago, but never did any serious research on it,â€ says Caylus designer William Attia, who speculates that the winning answer might be in the vicinity of 300. To enter this contest, which has a deadline of September 25th, you must send an email to the BGN editor with your high score in the subject line along with the words â€œCaylus Contest.â€ In the body of the email, you must detail the steps you took to achieve that score. These details will be painstakingly checked by yours truly. If two individuals tie for the high score, the player whose opponent scored the most will win; this keeps you from tanking the other player too badly. If people are still tied, then the player who submitted his or her entry first will win. Anyone want to pakat on this? I will get your vanilla Caylus while you keep the Premium set, deal? Mmmm...interesting. I've always wondered what the highest score achievable in 2er Caylus is. [quote user="rhyen"]Anyone want to pakat on this? Urgh....hate number crunching contests. Unfortunately I lack the patience for analysis and also not pro enough in Caylus yet. [quote user="wolfx"]Urgh....hate number crunching contests. Unfortunately I lack the patience for analysis and also not pro enough in Caylus yet. The key is "highest score" for one player, not highest combined score for a 2-p game. Hence the way a pro would play is to secure a win and probably trounced the noob. This won't secure the highest score for him. It'll secure a good winning score but not highest. To get highest score, you need to be able to have the noob "help" you to get those scores, to set up the board and to manipulate the cubes/buildings. It's not "normal" Caylus. don't forget the tie-breaker where the "noob" has to have the highest score for you to win. Hengy sent in his entry about 6 hours before the dateline closes. Congrats to our first, last and only submission from BGC, may you win the thing and donate the PLE set you are buying to me!!! not really sure about my calculations since no one spent the time to check my workings. but for those who were interested, the score was 409. so spread into the 18turns X 6 actions/turn, I scored approximately 3.78 points per action. Which is on the good side since a good action of putting on a goldmine will net you 3 points. Been awhile since the contest ended and I emailed the boardgame editor about the result. Seems like he encounter lots of difficulty in interpreting the results and selecting the winner! Missing information and errors in the steps detailing! And my guess is, all the contest entries are equally as error-prone! So, gggrrrr, if only bgc folks had spent time to check my calculations, we might have won outright! Guys, boardgames, whether premium or not, are meant to be played. BGs are not much use sitting on the shelf in shrinkwrap. After a while, it will get moudy inside due to lack of sunlight [hotsun] and then, whatever art inside will deteriorate. I have seen mouldy gameboard and gameboxes before. You know, those white fungus stuff...and the black ones, you DON'T want the black fugus on your board. [:-*] psst hengy, u know how to sing this song? Next time those dudes ask again, we sing this ya? To see Caylus Premium Ed. together with everyone in BGC. He said "Will you defeat them, your demons, and all the non believers, the ones who won't open it. if you two had any inkling of this, you guys wouldn't have advertised that you guy were buying the PLE in the first place, now you guys have to reap what you sow. everyone else, stop bugging them. [:-*] psst heng, when can I come over to look at the box art? maybe you guys should post this request in the wargamers forum, I think he seldom post here. Maybe, but we will never know until we bring you to a Karaoke session with Rob and the others, Robs has got a killer voice. I think he based that on your amended lyrics which do not at all jive with the tune of Que Sera Sera, that's assuming u know the song. Ah...no wonder the lyrics souns familiar! I don't mind drinking some caylus either. Open la. Barger. Some ppl too rich liow. 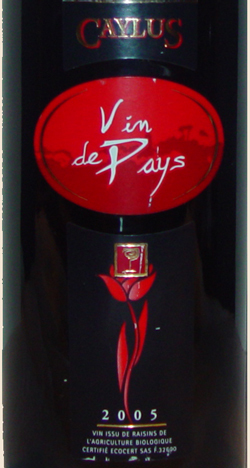 Vin de pays only, what. The Game is more expensive than the wine lah. after questioning macedwin, i have found out that, he brought 6 copies of CAYLUS PREMIUM EDITION (C.P.E.) back! Looks like there is C.P.E owners walking among us. Eliminating jack208 and myself, we still have 4 C.P.E. walkers. IS it CE, who is ordering it to resell it at higher price? Or is it rhyen, ordering because he gave up waiting for others to donate the game to him? Or is it friedricetheman, ordering to fulfill his hoarding desire? Or is it aanemesis, ordering to... er... for order's sake? Today is a rainy day. The umbrellas are up. Look for the orange umbrella in the forest of raindrops. funny, what was the exchange of money going on in the background at Mage Cafe that day? I wish Cadbury would bring it back. I actually once made a pun out of it once. A friend was eating her Whispa and, being a soft, flaky chocolate, the Wispa crumbs fell all over the place. I said to her, 'Don't be careless with your Wispa. She laughed and laughed. ("Careless Whisper" playing then). Also made a pun on BGG. Reproduced the lyrics of "Caylus Whisper" in its entirety. Note to admin: my picture of the Wispa chocolate bars has failed to appear in the above message. Please check. Ta. [quote user="Champion Eternal"]Note to admin: my picture of the Wispa chocolate bars has failed to appear in the above message. Please check. Ta. datuk, you can now aim your arrows at CE because he has already surpassed me and I cannot keep up this marathon. [quote user="rhyen"][quote user="Champion Eternal"]Note to admin: my picture of the Wispa chocolate bars has failed to appear in the above message. Please check. Ta. [quote user="Champion Eternal"][quote user="rhyen"][quote user="Champion Eternal"]Note to admin: my picture of the Wispa chocolate bars has failed to appear in the above message. Please check. Ta. too late, now that we have started replying to it, it can no longer be removed now that a thread has emerged from this exchange. [quote user="rhyen"][quote user="Champion Eternal"][quote user="rhyen"][quote user="Champion Eternal"]Note to admin: my picture of the Wispa chocolate bars has failed to appear in the above message. Please check. Ta. ayheng: what was your "fundamental" mistake?? In the logging sheet or in the game itself? CE: rhyen is right that a post that has been replied cannot be deleted (due to integrity links etc (technical jargon)). But you r also right admin can do anything... for eg I can force-delete that post... what happens is that it'll clear the profile of the poster. So can? haha... my fren.. a forum and a newsgroup are essentially the same design, from both the technical design and database-structure perspective. It's only the usage that makes one call it a forum or newsgroup. In fact, if u design a forum system without thread hierachy it meant you are not maintaining database integrity, one of the must-not-break rules of RDMS. But then a lot of PHP dudes are such undisciplined programmers.. in fact I won't call them programmers as they've not actually understood what "programming" is. They are actually "code writers" someone who put together a few programming codes. This is the reason PHP systems break then when put under stress- or load-test as they lack the basic architecture to support those load. It's a bit like how our Boleh-land engineers built houses.... very fast, very cheap but undercut corners everywhere.... unlike EU where they need to conform to certain specifications/standards etc. A forum can actually be hierachy based or chronologically based. But nowadays its all chronologically based. Hence lacking the flexibility of users to edit their posts as well as delete double/multiple posts which is needed. There is no need for "integrity". Again this is a case of simplicity and funtionality. It has nothing to do with PHP vs ASP programmers. ASP can do the same thing....just that this board isn't doing it. Lowyat.net which is Malaysia's largest community forum, uses invision powerboard, one of the most highly acclaimed commercial PHP boards in the market. These are the board statistics as of 10:28pm today. And it has yet to break down. Only time its down is during scheduled maintenance. 317 users have contributed to 7,647 threads and 9,374 posts. In the past 24 hours, we have 0 new thread(s), 76 new post(s), and 0 new user(s). [quote user="wolfx"]Buuu buuuu....wrong. A forum can actually be hierachy based or chronologically based. But nowadays its all chronologically based. Talking to you reminds me of talking to programmers who are just plain stubborn and dogmatic and cannot see anything beyond their tunnel vision. Not all are, though. I said the design of both newsgroup and forum are essentially the same. I did not say Forum and Newsgroup are the same [duh]. Show me the underlying design of two world-class forum and newsgroup and if they are not essentially the same (ie with referential links being one common item) then I'll rest my case. True, forums are usually flat and newsgroup are usually heirarchy but thats USAGE (or in IT-speak, "the application of a design") and not design. Have you ever design a forum or newsgroup? If not, arguing further is moot. And for clarity sake, I'm asking "have you designed", not "have you used"; the key word here is "design" vs "use". Any database RDBMS that does not have links are not properly designed. Yes you can design a db without links but how do you maintain integrity? Do you even know Codd's 12 Laws of RDMS. If not, I might as well argue with the wall. Again, show me a Tier-1 application (and pls dun quote me freebies like PHP forums) eg SAP, Axapta, Oracle Financials, Peoplesoft - that does not have referential integrity and I'll again rest my case. Fact: If a programmer can enforce referential integrity and choose to do so, he's a discipline programmer. Fact: If a programmer can enforce referential integrity but chooses not to do so, he's an indiscipline programmer. If an appl is stressed due to referential links, it is becoz the database engine is NOT GOOD enuff la. Do you ever see an Oracle or DB2 or MSSQL database stressed? No but do you also realise that all these Tier-1 db has referential integrity as one of their key features? Which db will stress if you use too many links? Well, MS Access is one (and that's a Microsoft product in case you wanna argue I'm 100% pro-MS). Foxpro is another and obviously MySQL is the other. Most PHP apps are built on MySQL and do you know the MySQL database itself does not even have referential integrity feature? It cannot even be called a "relational database". Even now, it's so-called support for RI is not fully RI. Note: However MySQL now has an Enterprise Ed that comes with referential integrity. Again, programmer [arghh]. You jumped to a conclusion without even finding out the source of the problem. here you implied the problems above are due to stress caused by links. Goodness, doesn't ppl apply logical analytic thinking to flush out problems anymore? The above problems could very well be caused by bugs ie badly-written programs; which is what it is (I think). In fact, if u actually know how referential integrity is designed into a forum or newsgroup software, you wouldn't even have made that stmt. Becoz all a new post needs is to reference back its parent post and integrity is maintained. To display the thread in flat or heirarchical structure then is merely the application sending a different query and formatting the look-n-feel differently. Your discourse on making 1 hop vs many hops, rhyen post linking everyone and creating subthreads is making me LMAO. If you can say there's no need for integrity, I can rest my case fully on the "indisciplined programmer" argument. I dare you, come with me to a programmers convention - does not have to be Microsoft, can be Java or C+ groups - and bring up your point of "no need for integrity" and see how you'll get savaged. It's not a case for simplicity vs functionality. Integrity is not about simplicity. It's about... well, integrity. If adding referential integrity kills the app, then it's the database that's the problem. If you are using PHP database, I agree... perhaps you shud not have integrity links to avoid such problems but if your backend is any of the high-end dbs such as Oracle, MSSQL and DB2, you need not worry about integrity killing your apps. If you actually understand how a db structures its integrity tables and its search algorithm, you'll then und why integrity never kills an app. Rather than applying a layman's view to understand referential integrity. [quote user="wolfx"]Lowyat.net which is Malaysia's largest community forum, uses invision powerboard, one of the most highly acclaimed commercial PHP boards in the market. These are the board statistics as of 10:28pm today. Er.. what does this prove? Again pls apply some logical thinking to your argument instead of emotional lashing. Are you trying to prove Powerboard is better designed than CommunityServer or are you saying Powerboard is more stable than CommunityServer? The only thing I think your stmt above (Powerboard vs CommunityServer) proves is that Powerboard is a very matured and stable forum software and can support large number of users. While CommunityServer is a new, growing and yet-to-be-stable community software that encompass a forum, a gallery, a file, skinning, blog that still contains many bugs that make it perform less than satisfactory. So CommunityServer breaks down more than Powerboard. Yes unfortunately it does. If you are resting your case becoz you think Powerboard is much more stable than CommunityServer, then yes you may do so coz even I agree with you. But that's like saying we shud be using a bicycle instead of a car, coz a bicycle is so much more stable than a car. Have you ever seen bicycle breaking down btw? Well since you started it, you're the one who seems to be talking alot about integrity and throwing out technical jargon, you seem to be the old programmers who don't wanna change with the times, stuck in the old days of database design. Define same. They are in no way same, not even at the database level. And by that I don't mean referential database VS non-referential database. Please read the wiki links i provided. I have set up PHP boards as well as ASP boards. So yes I have designed them before, but only at a very high level. These days forum applications are so easy to install that you don't even need to go into the gritty of it. I think you are confused with the point of my argument. I did not say that a database should not have links nor should it have not have integrity at all. That would be silly to state and even impossible by today's standards as all data is referential one way or other even if you don't want it to. What I was arguing about was this board's redundant use of a hierachy based posting system. You stated that this is necessary to keep the post integrity. My argument was "What for have post integrity? Its redundant since we have the almighty quote box, and it introduces problems stated by CE about deleting/editing posts". I think your argument has went out of scope. Doh....i deal with enterprise solutions like SAP, JDE and Siebel. I'm not a n00b. And as I said, your argument is out of scope. Hmmm ok sure. Why don't I enforce referential integrity for every letter you type, it ties back to a word spelling algorithm unique to each user so that for every word you type, I know you are the one who typed it because it directly relates to you and how you spell the word. So by the end of the day, I know who in a forum spells "tomato" like "tomatoe" or "tamato". I can enforce mah? No problem rite? So should I just do it? Just think of the stupid overhead it will cause to the database just to implement this pointless referencing. Every word you type in a post will be related back to the poster. So silly. So many table jumps and transaction table entries will be created just to track something not fundamentally important. Sure I can do it. But what for? Integrity? This is integrity to the max mah rite? So are you trying to say Oracle, DB2 and MSSQL database will never be stressed? What if I told you I have? And why so you ask? Because some programmer was too smart storing redundant transaction tables that could grow up till almost a million records a day, with nested references to god knows how many other related records. We fixed the problem by removing the silly redundant process. When we were done with it, only a thousand of records on the transaction table were created. That said, a programmer must always think of the volume of data and the records that will be created. Then with the data, how many hops must a user make to get to the data he wants. The lesser the better. I think from my experience, no database is full proof. A database should not have too many hops for a user to get to a piece of data, that's the fundamental rule to database design. It all depends on alot of factors like data volume, no. of hops, as well as query code. I never said that the multiple posts and undeletetable posts to be the ones causing stress. Read what i quote and what I replied. I mentioned the multiple posts and undeletetable posts because I wanted to point out that its this hierarchy based posting that's causing this, and its redundant. It would be logical to conclude though that the hierachy based posting might cause un-needed stress on the system. Let me illustrate with an example. On the example above, due to people replying to the latest post, me as the 3rd poster would have to go through 3 inner joins just to reach the latest message which is by Ken. Of course 3 innerjoins is inconsequential to the database. But imagine a big thread like the real OTK thread with multiple posts and replies. Can you draw the hierachy of that thread in a graphical format? I think not. Just to get to the "November 2nd Subang SS15 gaming" part, I probably have to get through 1000++ innerjoins just to get there and it will continue to grow exponentially! In contrast, flat posting system is based on time, so it looks like this. And how many hops do I have to make to get to the latest post? 1. And 1 million posts later, how many hops do I have to make to get to the "November 2nd Subang SS15 gaming" post? Just 1, which is from the main post, "OTK Gaming Thread". So logically which do you think causes more overhead to the system? Bear in mind I didn't say this WILL cause stress to the database. Its just a logical conclusion. Hence the overhead. What if all posts only need to reference the 1st post? Edit, delete, etc. No problem. Refer to my above example. How can you present the data in the 1s diagram if hirachical posting is not enabled? The way the data is stored is also different. Its not about different query and look-and-feel. Because if it truly is look and feel, then why can't I delete my posts that I have made before? Because there are child posts under it right? That in itself tells you even the DB structure is different. LMAO back at yourself. Refer to my above example of referencing how every user in a forum spells a word. There's no such thing as a DB that will not crash. Its not about discipline or not. Its about functionality. Do you call a kungfu master who sleeps whole day meditating about Nirvana disciplined? Oh sure. But what are the other kungfu masters doing? Fighting the evil overlord to bring peace on earth. Which one is more functional, might I ask you? If you wanna call people of the world stupid and only you as smart, then you can't see how google is so successful with their secret search algorithms or how they can provide you 5 gigs free email. Do you think they have physically enough hard disk space to store all the emails of its gmail users? Think again. I think right now you're just stubbornly defending your community board despite real world examples everywhere. In fact I provided you links to examples but all you can spout is marketing "Perfect World Scenario" crap. I may not understand it like a professor, but through experience and studies, I know enough that integrity adds overhead to a database. Its a matter of making the right judgement on what integrity needs to be kept (like do you need to keep the integrity of how each person spells a word?) and what shouldn't. My point was to counter your point that PHP boards are unstable compared to ASP boards. I proved to you a board that is PHP based and very much stable and has more user volume than BGC, which is ASP based and crashes alot despite very small number of users. That's all. So you wanna fall back to "Community Server is a space shuttle flying to penang, when you can use Air Asia instead "analogy? Then I have nothing to say. Redundancy is the key word here, another basic database rule, to reduce data redundancy. [quote user="wolfx"]It would be logical to conclude though that the hierachy based posting might cause un-needed stress on the system. Let me illustrate with an example. If this is THE example you can give, then there's no point to discuss further coz it's plain obvious programming (and I mean actual programming not some script writing with ERP apps) is not something you do. Concepts of encapsulation, inheritance and data-persentation independence will all be lost on you. If the design of your hierarchy forum (ie the first one) requires a poster to do 3 hops in order to reach your message.. then my dear fren, the problem lies in the programming technique itself and not in the language or database. In my book, both examples both need ONLY one hop (and not even an inner-join, do you even know what's an innerjoin?) to reply, to delete, to edit, and to display. That's a database issue. However whether the programmer chooses to display it as a flat or heirarchy forum is a presentation issue. What I'm saying is the same database structure can support BOTH types of forums and the same query will fetch both results (regardless of whether it's 3 posts or 1,000 posts deep). However a different presentation code is needed to present it in a) hierarchy structure (ie your newsgroup), and b) flat structure (ie your forum). Show me how your design requires THREE INNER JOINS to pick up the 3rd post in the 1st example and how your design requires ONE INNER JOIN to pick up the same post in the 2nd example??!! And I'll show you a SINGLE DESIGN that caters for both, a design that complies with Codd's 12 Rules (if you dunno the rules, just say dunno... dun say the rules are old-school). [quote user="jack208"]If this is THE example you can give, then there's no point to discuss further coz it's plain obvious programming (and I mean actual programming not some script writing with ERP apps) is not something you do. If your board is created with an object oriented programming code and can handle encapsulation and inheritance in the 1s place, then maybe you have a point. But sadly its not. So your point is shot down. If the forum is using ASP.net or JAVA then its a whole different ball game, but then again, people always complain that they are both slow like hell. I experienced Java 1st hand and I don't like it one bit. Dude. To show the posts, the ASP application has to query the database to retrieve the data for the posts. Based on my example above, to do said query, I will have to query the foreign key of 3 different posts to get to the related latest post, hence the INNERJOINS. Do you even know how your forum works? I am assuming that the program is perfect....so we're totally talking database now. If its purely presentation, why can't i delete posts that have been replied to? This should not be a problem if its merely a presentation issue. Its definately something underlying in the data structure. I frankly never study Codd's in uni but wiki-ed it and its basically the same old stuff I already read. Show you design? How to show you? You show me yours 1st ler. Your board is not even OOP (Object Oriented Programming, not Out Of Production) and you wanna throw OOP concepts at me. Piiii la you. [rotfl] When you make too many assumptions, you make an a.s.s. out of you and me. 1. The Community Server system is designed as a pure OOP application and written on the ASP.Net using C#. In fact, it incorporates many forward-looking design patterns as the developer/founder was formerly one of the key members of Microsoft's ASP.Net team (I think he was the team lead in some modules). 2. Java is slow only becoz the programmers who were working on Enterprise Java are indiscipline and did not have the proper foundation on programming, in particular OO concepts (prob some ex-PHP dudes). The same applies for ASP.Net. In short, if you let me drive the Ferrari FI car, I'll still end up last in a race. Becoz the Ferrari FI car is slow? Nope, becoz I'm simply a lousy Formula One driver. However done properly both Java and ASP.Net have no performance issues, and in fact highly scalable. Again, Microsoft lovers are usu. anti-Java but here I'm defending Java simply to correct a very wrong misconcept. Both Java and ASP.Net are strong programming foundation and I'll say one is not better than the other. If you want to find fault with MS here, it would be that they actually "copied" the concept from Java and did not invent something new, unlike Sun whom actually did a lot of groundbreaking work in coming out with Java. So credit where credit is due. btw Java and ASP.Net are the two prominent development platform in the new school of programming. PHP is ugh... like well, as you said, "old school". Note: Anyone who knows their ASP/ASP.Net stuff would know from the URL where it calls an "aspx" page that this is ASP.Net program (and not ASP). However even knowing it is written on ASP.Net does not automatically imply it is OOP or otherwise. You'll still have to look at the application architecture before you can say for sure. I'll answer in my "design" post later why you cannot delete your post. It's a functional issue. And how do you link it to presentation vs database, I've no idea. It's just the way CommunityServer implemented it vs say other forum apps. Of course I'll show you mine (in a separate Show Me Your Design post). I dun simply open my mouth and then cannot back up or support my own words. To the rest of the guys: INCOMING! i sense some post... [hijacked] [offtopic] !!! Forum died again at 1:30pm until now, 3:15pm. 3. You are assuming the program is perfect, and the problem is the database? Dude, you have not even installed or implemented this application before, and neither have you maintained this application before... you have not even seen its database schema or its object classes nor any of its program codes. Yet you can make such inferences. Brilliant! Uhhh.... the issue isn't the problem of it crashing. The issue is the hierachy-based posting that I was complaining about. You are the one who blew it out of proportion and made me comment on information that only you can provide. When did I say Codd was old stuff? When huh? Please put it in quotes. 5. Without even looking at the underlying code, but just from using the application you can know whether my board is OOP or not?!! Wah... even those programming gurus cannot do this wor.. you must be very kheng! I everytime said your website using ASP but you never correct me by saying ASP.NET, and you also always refer to your site is programmed with ASP, so i assumed so la. ASP is not OOP ma. So I know its not OOP loh. Your information not correct. And no I didn't know about aspx. My job and clients never relies on MS stuff. Ever. So i will never have hands on experience on .NET architecture. Admin loubeh? Coding loubeh? Architecture loubeh? Programming language loubeh? All of the above? Dunnola. I LUV techno babble. Turns me ON baby!!! Btw, the forum never crashes this bad before. It only started recently. I've used all kinds of forum, since I'm a self proclaim troll, I've never seen forum crash as bad as this, other than hardware failures incidents. You sure its not some bad sectors in your RAM that's screwing with you? Cannot delete post is a weird phenomena that I've seen quite some time already and I noticed that right after you post, you cannot delete, BUT somehow you can delete it later. Whether its a bug or bad scripting, not too sure, me not coder. Just for my knowledge, you still need to code forums? I thought the features already there in the package, you just need to script to get the look and feel you want. Call me ignorant if you want! So ...mmm who's getting the most VPs here... Jack-O-lantern or Werewolfx? err, just so you all know, this thread is a promo/teaser for the forthcoming launch of flame of war game in malaysia... seriously! Started the FoW post in the Miniature games section oridi - more visibility that way. How many players are playing, Shinobi? Ya, see other thread (click here). Leave this for our techno pow-wow ayheng self-wallowing corner. Jack208 - your post reminded me of what the LE in Caylus LE is for. Hello, have a look at the post count, it is now CE who is leading the way. I have no more stamina after the last few months. if you think you can do better, you are welcome to try to improve on the design of this forum. [quote user="Champion Eternal"]To the rest of the guys: INCOMING! Well, if you wish, we could post the submission and go over the whole thing just to prolong your depression. because Ferrari get stuck in traffic jam. Aeroplane circling up there also cannot land because all the road all jam up. He better take a helicopter next time. [quote user="rhyen"][quote user="Champion Eternal"]To the rest of the guys: INCOMING! Advice to Rhyen: Put on flameproof undies (male version, this time) before you open the door. At least give us a chance to play with your prize Caylus. [quote user="Champion Eternal"][quote user="rhyen"][quote user="Champion Eternal"]To the rest of the guys: INCOMING! Nah, the flame war already over, hence seeing all the chargrilled participants. Hengy - since the competition submission deadline has passes, why don't you post your annotated game here, an we can collectively work on it? True Fear, because I am not a programmer hence I cannot deconstruct the threat. So, I will err on the side of caution. It is a very very very very long excel file. I have a copy of it somewhere on my computer. Worse - a Ferrari stcuk in a traffic jam is a dead Ferrari. [quote user="rhyen"][quote user="Champion Eternal"][quote user="rhyen"][quote user="Champion Eternal"]To the rest of the guys: INCOMING! Man, have you seen Backdraft? Be careful when opening doors in a flaming building. Ahhh. So its Admin that's holding the MG, and not you. as rhyen says, it's a long excel file, can't transcript it to the forum properly unless i do a rewrite, not something that i look forward to. further more, there's nothing to fix as the error is a key foundation that collapses the whole structure. so, might as well start from scratch. Wanna tell us what's the key error then? You sure its not some bad sectors in your RAM that's screwing with you? BUT somehow you can delete it later. Whether its a bug or bad scripting, not too sure, me not coder. Well, I didn't want to post the Sith Lord photo just in case I get banned by Admin. oh right, one just happen to own this universe, the other was just on the dark side of that universe. yes, i replaced the residence over another player's craft building. so the error is there. so in the end, i think some one that submits a regular script with no error will get the prize, not necessary will the person with the 'potential' for higher scoring will get it. Red fox to Blue rabbit, red fox to blue rabbit, do you read me? i say do you read me? the box is opened, i repeat, the box is opened. intel suggest shrap-nel, ay-cee, wolf-x and rh-yen was there when security was breached. over and out. We read you loud n clear, Red Fox. Will proceed with termination process to ensure those involved in security breach are erased. I repeat, full erasure. btw this means we can keep our copy mint? [ohyeah] Blue rabbit over and out. no, i repeat, no. advise to open to check component count. also to verify security code inside game with ystari.com [:P]. "Red Fox, Red Fox, pls let us have your latest update... did rh-yen get his saliva on the board? over and out." Red Fox: Like new, but with aliens fingerprints everywhere. Yellow eyes to Red Fox and Blue Rabbit, please be advised that interlopers have been terminated. I repeat, interlopers have been terminated. Please reseal containment unit. Over and out. Purple Panda to Red Fox. Copy that. Check the moth balls. Were they inserted? Over. [quote user="Champion Eternal"]Purple Panda to Red Fox. Copy that. Check the moth balls. Were they inserted? Over. Blue Rabbit to Red Fox. Pls dun overdo the moth balls otherwise we'll have an internal infestation to deal with. Over. Red Fox: Still considered new, but with aliens fingerprints everywhere and possible saliva patch. Tokens unpunched. King Philip fondled multipled times. Chill out! I drool over the table while holding the box and game high up over my head. Apologies to Tracy for that mess. Too late! Infestation already breeding inside, suspect alien fingerprints are actually spores of alien fungus! How do you w*nk with no hands? [quote user="rhyen"][quote user="Champion Eternal"]Whose saliva? If it glows in UV light, it is not saliva. ever heard of the term frottage? [quote user="Champion Eternal"][quote user="rhyen"][quote user="Champion Eternal"]Whose saliva? it definitely doesn't glow in the UV light, it glows in the sunlight. No, but there is no need to do a demonstration. The police might turn up. [quote user="rhyen"][quote user="Champion Eternal"][quote user="rhyen"][quote user="Champion Eternal"]Whose saliva? OK, then you did not say the A word while u held it up then. don't worry, we made pretty sure than Tracy and Ryan closed the shutters before we even opened the box. So, no worries about the law enforcement units. Okay, [hijacked] has gone on long enough. Let's talk about something else.....can anyone get their hands of that display set of Caylus that we saw in the Essen pictures? Red Fox: "Like new", greenies started growing. Need weekly cleaning to remove greenies. Blue Rabbit: Shrinkwrapped, Still Mint. viva la revolution!!! Do you hear the meeples sing? Yay. I shall join the campaign to open Caylus PLE! what a pity u guys not in politics!! unfortunately tis no politics. Can a campaign make someone open up his priceless Caylus to be played/touched/fondled/molested in public? Alright being free today, i opened my Caylus Premium Ed to admire the graphics and count the bits again and lo behold, 6 black worker bits are missing. Better check your components, jack208. [quote user="ayheng"]Alright being free today, i opened my Caylus Premium Ed to admire the graphics and count the bits again and lo behold, 6 black worker bits are missing. Ohhhh....means jeff will open his copy next weekend yea? The workers - are they like the normal Caylus ones? [quote user="Champion Eternal"]The workers - are they like the normal Caylus ones? No, they aren't. The vanilla Caylus workers are oblong. The Premium Caylus workers look like bowling pins. So if you play using the Premium Ed workers in a vanilla board, you can see the difference. ...but it's the coins, man, da coins!! Who you supposedly played with? Beowulf? Odin? Loki? Enough with all this chest-thumping. Just set the date, time and venue and we will all come in plastic suits. [quote user="rhyen"]Enough with all this chest-thumping. Just set the date, time and venue and we will all come in plastic suits.